At Loehr Chiropractic & Acupuncture, we take pride in supporting your journey towards wellness, and offering top-notch chiropractic care is a very important part of our efforts. How does chiropractic work to improve your health? The short answer is that a chiropractor reduces misalignments called subluxations that interfere with your body’s ability to function smoothly. This reduces pain, promotes healing, and supports well-being. Are you wondering what the long answer is? 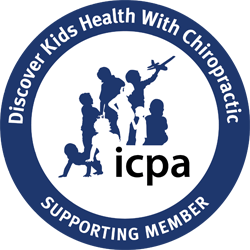 To discover more about chiropractic care and how these hands-on treatments work, please keep reading. Within each of us, there is an innate wisdom or healthy energy that will express itself as perfect health and well-being if we provide it with the support it needs. Unfortunately, time, stress, injuries, and bad habits can create imbalances and misalignments in the musculoskeletal that interfere with our nervous system, the body’s master control system. As a result, our health suffers. Fortunately we can fight back, and chiropractic care is an excellent way to restore your body’s function, reduce discomfort, and move toward wellness. How does chiropractic work? A drug-free form of health care, chiropractic focuses on removing any physiological misalignments that are interfering with the nervous system and blocking the proper expression of the body’s innate wisdom. Once these interferences are reduced, improved health naturally follows. Chiropractic is effective because it supports the needs of the body. Before getting into the details of exactly how it works, let’s review what your body needs for good health. Your body is a remarkably intricate system comprised of countless, complex pieces that are designed to work together. Bones, joints, muscles, and nerves must each play their role to accomplish something vital: motion. The human body was designed with motion in mind, and the nervous system controls all of it. Joints move from the bones, bones react from muscle contractions, and muscles contract because nerve fibers stimulate them. It’s an amazing system that works harmoniously to create motion. Motion is life. Thus, the absence of motion causes serious consequences. A lack of motion negatively affects our emotions, immunity, digestion, concentration, sleep, and longevity. A sedentary lifestyle, largely absent of motion, is extremely detrimental to your body and your well-being. Side effects from a lack of motion include headaches, high blood pressure, diabetes, obesity, cardiovascular troubles, and more. Without enough activity, your focus and your energy levels will decrease. Too often, this low energy leads to a further reduction of activity level. Are you afraid that you’re caught in this downward spiral of exhaustion fueled by inactivity and a sedentary lifestyle? A chiropractor can help you break free and provide the guidance that you need to begin walking along a healthier path. Your Body Needs Proper Alignment. The Japanese art of growing and shaping Bonsai trees is remarkable. Under normal circumstances, Bonsai trees are fundamentally shrubs. However, the trees that we admire have been consistently stressed repetitively for a long time to create a shape or posture that isn’t normally found in nature. How the Bonsai tree is stressed determines whether it will look like a miniature version of a full-sized tree or a jumbled pile of looping branches. The human body needs proper alignment. Proper alignment of the spine and ligaments helps to support our weight, reduces the amount of effort required, and decreases the strain on our body. It also allows the nervous system to function in the manner it was intended to, which encourages every other system in the body to perform correctly. When your body’s systems work together, you are healthier and more energetic. However, the human body is vulnerable to the effects of various stressors. Much like the Bonsai tree, how we respond to these stressors often shows in our posture. While many people underestimate its importance, good posture is imperative for optimal health. What comes to mind when you think about good posture? If you’re like most people, you probably think about sitting up straight or shifting your body to push your chest out and pull your shoulders back. That’s a start, but good posture is about more than being able to walk gracefully like a royal while balancing a stack of books on your head. It is about being aware of your body’s position and what it needs to be healthy. Eating a balanced diet, exercising, and avoiding substances that harm the body (like drugs, alcohol, and tobacco) are all part of being healthy. Maintaining good posture is a part of being healthy as well, because if you don’t have good posture, it is impossible to be truly physically fit. Why is posture so important with regards to fitness? Much like how exercising with improper form can lead to injury, if your spine is not aligned properly, you could actually damage your body when exercising. Consider this: If someone asked you to carry a large free weight, you wouldn’t hold it with your arms extended out in front of you; you would probably hold the weight close to your side because it’s more comfortable to carry it there. Carrying weight at a distance throws off your center of balance and puts excessive stress on your muscles. Holding it close to your body puts the weight closer to your center of balance, which means it is supported by your bones more than your muscles. Have you ever seen images of people carrying jars of water or other heavy items on their heads? In some countries, this is a common way to transport items that weigh a lot. People do it because with the weight carried at their center of balance, their skeleton supports the weight instead of their muscles. This means that it requires less effort, so the people bearing the burden don’t get as tired. What is your posture like? You probably don’t carry heavy things on your head, but you may find yourself spending hours slumped over your keyboard while sitting in your office chair. Are you guilty of hunching forward while sitting on one leg for prolonged periods? Either position shifts the burden of your head, which weighs about 10 pounds. Shifting the head forward takes the weight that should be supported by your spine and forces your neck muscles to carry it instead. The increased tension and pressure in your neck can create predictable shoulder headaches, back pain, and neck pain. Sadly, if you do not take steps to correct the problem, then your troubles are just getting started. When poor posture forces your muscles to carry the weight of your head instead of your bones, the chronic muscle tension is just the beginning. Over time, the misalignment and discomfort will increase as your posture diverges from your body’s center of balance. The ongoing pain can also lead to stress, emotional distress, and depression. What is proper alignment? Think back to biology class and that vaguely creepy skeleton hanging in the corner of the classroom. Ideally, your body should be aligned like that skeleton. Unfortunately, life and bad habits can wreak havoc on our posture. Poor posture is a major problem because it distorts the alignment of bones and leads to reoccurring muscle tension, which contributes to stressful conditions like loss of vital lung capacity, amplified fatigue, decreased blood and oxygen to the brain, restricted range of motion, stiff joints, pain, decreased mental alertness, and reduced work productivity. Minimize the factors that negatively impact your posture. Anything that encourages your body to stray from its center of balance is harmful. The way your office chair is situated in relation to your desk, where your car seat is positioned, and the weight of your backpack can all place unnecessary stress on your body and negatively impact your posture. You will need to identify behaviors and environments that compromise your posture and take steps to counteract them. Embrace factors that support good posture. To improve your posture, you must get your body back to its center of balance. Chiropractic adjustments, good ergonomics, therapy, stretches, and other exercises can all help. Your goal is to learn how your body feels when it’s properly aligned so that you can take action to maintain that alignment. If you want to regain and maintain good posture and proper alignment, a chiropractor is an invaluable ally. Anyone who wants to stay in motion and maintain proper alignment should also think about strength. Strong, healthy muscles allow you to keep your body upright, practice good posture, and move around freely. Weak muscles can stress the surrounding structures and trigger misalignments and harmful muscle tension. Your muscles grow strong or weak depending on what they are forced to accomplish. Today, modern conveniences have reduced the amount of physical activity that is required to complete many tasks. Activities like sitting in front of a computer, riding in a car, and loading laundry into a washing machine simply don’t place the same level of demand on our muscles that the manual labor required to accomplish similar chores in the past did. With today’s more sedentary lifestyle, exercise is critical to creating and maintaining the muscle strength that our bodies need. Regularly participating in physical activities like walking, cycling, swimming, body building, running, playing sports, Pilates, yoga, qi gong, tai chi, and more can provide the challenge your muscles need to become stronger. A chiropractor can evaluate your body’s biomechanics, make suggestions to improve your fitness routine, and correct misalignments that interfere with your athletic performance. When it comes to your muscles, strength alone doesn’t cut it. Balance is equally important. Picture a tall, cell tower antenna that utilizes wires in its support system. If those wires are equally strong, the antenna remains upright. If a wire breaks, becomes loose, or is weakened, the antenna will either lean to one side or collapse. Like the antenna, your body needs to be held firmly upright by properly balanced structural components. Regrettably, imbalances in muscle strength are common. When muscle strength isn’t balanced, it contributes to chronic muscle tension, improper posture, and pain. In fact, the way your muscles work means that muscle imbalances will probably get worse if they are left unresolved. That’s because your muscles are designed to counteract one another to make motion possible. When the body contracts one muscle group, it makes the contrasting group relax. This concept is known as reciprocal inhibition, which means shutting down the opposite. The problem is that if only one set of muscles is consistently used within the body, the opposing group may shut down and begin to atrophy. Does your back hurt if you spend a large portion of your day seated? Reciprocal inhibition might explain your discomfort. While you are seated, the same muscles in the upper back and chest are used and the opposite muscles in the mid-back are shut down. After a while, the muscles in the mid-back weaken, which can set the stage for chronic pain, muscle spasms, and poor posture. Like muscle weakness, muscle imbalances can be corrected with chiropractic care, targeted exercises, and therapy. A chiropractor can help you identify these imbalances, treat any misalignments, and offer recommendations for restoring balance to your body. If you woke up one morning with a frozen shoulder that refused to move more than an inch or two, how would it impact your day? Could you get dressed? What about driving a car? Would you be able to perform your job? Would you be able to think about anything besides your shoulder? When your body doesn’t move properly, it can have a dramatic impact on virtually every aspect of your life. It negatively affects your ability to live, function, work, and think clearly. Many chiropractic patients first come to the chiropractor because completing a simple, everyday task (like picking up a pencil or bending to tie their shoes) caused a burst of sudden, severe pain. The body should be able to complete these simple movements. After all, it has done so many times before. So what went wrong? While it is generally perceived as a sudden problem, the truth is that this situation is often the result of joints that locked up and refused to function, setting off a cascade of troubles. When joints lock up, other areas of the body are forced to try and compensate. This results in increased stress on the areas struggling to do double-duty, which causes pain and inflammation. Adding to your woes, the parts of your body that do not have normal movement will gradually degenerate as the muscles continue to tighten. Ligaments and tendons shorten, and the components that make up the joint stick together. The body becomes unstable, and if the issue is not addressed with proper treatment, it will continue to progress. The restrictions in movement will grow until even the simplest tasks become challenges. Our chiropractors have seen individuals that look like they have been sprayed with starch and ironed due to their minimal mobility. Limited mobility is common among elderly people, but it is not an inevitable part of aging. It is a result of not taking care of the body through nutrition, exercise, and spinal alignment. With proper care, motivated individuals who maintain regular exercise in their 60s, 70s, and 80s can be stronger and more flexible than your average 30-something. Maintaining mobility is a critical factor for those who want a pain-free lifestyle. While it requires a little effort, it is not difficult to do. You simply need to perform specific stretches and exercises to keep your muscles, ligaments, and tendons flexible and in good condition. What about your joints? Keeping them in good shape is best completed through stretching and chiropractic adjustments. The focus of chiropractic is to restore the body to its ideal state for optimal wellness. The goal is to remove interference with the nervous system, the vital internal system which controls all functions of the body, including its ability to heal without medicine or surgery. To accomplish this, the chiropractors at Loehr Chiropractic & Acupuncture use a variety of techniques and treatments. Chiropractic heals by reducing the subluxations that keep the body from functioning at its peak. How does chiropractic work to alleviate these misalignments? Adjustments are completed through a series of quick thrusts applied to a vertebra to properly align its position, correct its movement, or both. Adjustments are most effective when the body is relaxed. Don’t worry – you are in good hands. Doctors of Chiropractic have extensive training in how to manually adjust the spinal column and extremities. They know how to apply specific techniques and precise force to vertebrae and other parts of the musculoskeletal system to encourage normal function. Chiropractic treatment offers significant benefits, including reductions in pain, nerve irritation, and muscle spasms and improvements in function and range of motion. Patients often hear a pop or crackling sound while being adjusted. While this might be alarming for individuals who have never received chiropractic care before, it is perfectly normal. The sound occurs when the air or gas between the joints is released. What if you don’t hear anything? That’s okay too. If there is substantial muscle tightness or you’re having a hard time relaxing, then you may not hear anything. The lack of sound can also be a matter of technique; some chiropractic techniques do not result in any noise. We’re a full-service wellness center committed to providing quality health care, and our dedication to our patients extends beyond the walls of our office. As part of our four-step process, we provide you with the support you need to succeed via coaching in our office during your appointments, community outreach events, and a variety of social media networks. Is your organization interested in exploring wellness topics? Contact our Marketing Director, Brittany Zachary, to arrange for one of our chiropractic physicians to come and discuss any wellness topic at your office through a “lunch and learn.” Our physicians have earned various post-doctoral certifications and have assorted specialties, so we’re happy to talk about a wide range of topics, including spinal health, fertility acupuncture, pregnancy, pediatrics, stress, posture, ergonomics, weight management, relaxation, smoking cessation, nutrition, and exercise. If you have another topic idea, please don’t hesitate to let us know. At Loehr Chiropractic & Acupuncture, we want to be your trusted natural health resource. If you are ready to feel better, schedule an appointment today and take the first step towards a healthier life.